The Helmholtz Association is one of the 20 leading academic institutions and venture capitalists eligible to nominate their most outstanding science based start-up company for the “Falling Walls Science Start-Up of the Year” award. This year Helmholtz nominated Intelligence on Wheels (IoW) – a spin-off of the German Aerospace Center (DLR) – with their train collision avoidance system for this prestigious award. IoW was selected out of 120 start-ups founded by the 18 Helmholtz research centers within the last 10 years. IoW’s three system technologies – direct train-to-train communication system, an accurate track-selective localization system and a cooperative situation analysis decision support system – are not only state-of-the-art, but also represent a very cost-efficient alternative in comparison to existing solutions. It requires no massive investments on the infrastructure itself; rather IoW follows a modular upgrade strategy where technology enhances existing trains. 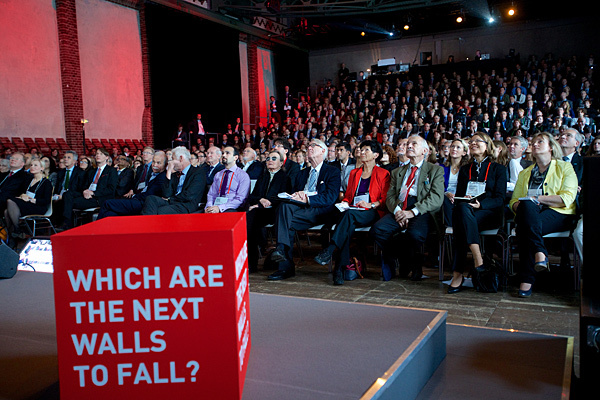 Falling Walls is a unique international platform for worldwide-known leaders of science, business, politics, the arts and society. Inspired by the fall of the Berlin Wall as a world-changing event on 9 November 1989, the question of every Falling Walls conference is: Which walls will fall next? The Helmholtz Association considers IoW’s disruptive approach a perfect example for this, which offers a huge social impact in terms of safety and an economic potential because of the infrastructure independency of IoW’s approach. Falling Walls has announced IoW being among the finalists and invited them to present themselves at the Falling Walls Venture in Berlin on 8 November. See here a blog about IoW’s presentation.